Milk kefir is a delicious probiotic beverage made with milk kefir grains either kefir ferment (kefir starter culture). With the living milk kefir grains you can make unlimited kefir. With 1 sachet of kefir ferment you can make only a few batches of kefir. 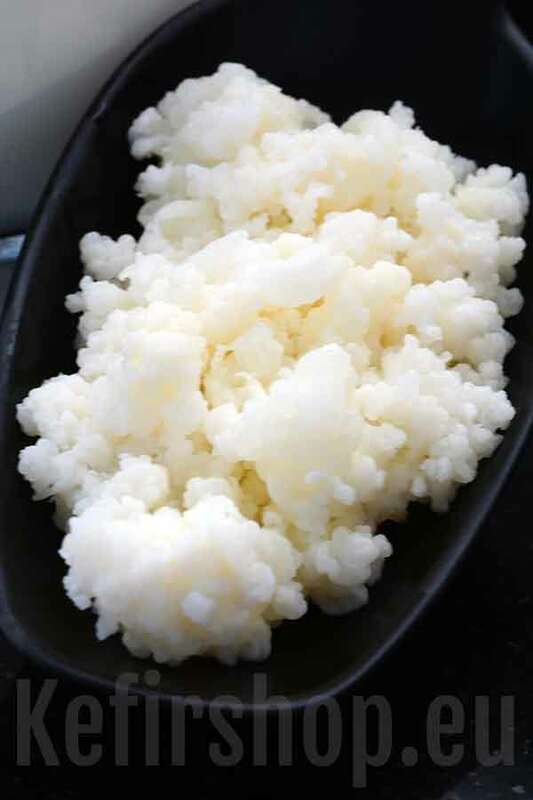 Milk kefir grains can be used with cow's milk, goat's milk, raw milk, and coconut milk. Milk kefir milk is fermented at room temperature for about 24 hours. Please see the individual product descriptions for specific information about how to use. Milk kefir tastes like a slightly acidic and refreshing yogurt drink. The taste of kefir can vary from season to season, or which milk has been used. Daily consuming kefir has various health benefits. Making milk kefir is easy. Kefir cultures for making milk kefir are available. Buy live milk kefir grains or the powdered kefir starter - ORDER NOW.